Additional Features and Amenities Welcome to this picturesque setting on 8.5 acres with total privacy! This home is a rare four level split-level that would work great for multi-generational living. A true four bedroom with large bedrooms for all and plenty of closet space and storage, this house offers not only space but privacy for everyone to enjoy due to it's unique layout and multiple living spaces. 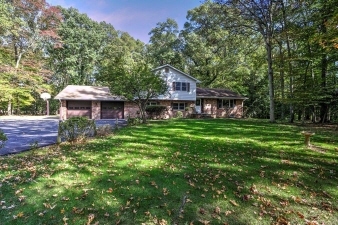 Enjoy plenty of yard space perfect for any of your outdoor activities on the 8.5 acres. The over-sized garage with generous storage shed will have plenty of room for all your outdoor toys. With just a short drive to Bowling AFB and all points downtown, shopping and amenities are just around the corner. Enjoy convenience yet live in the country surrounded by nature. Your peaceful perfection awaits!